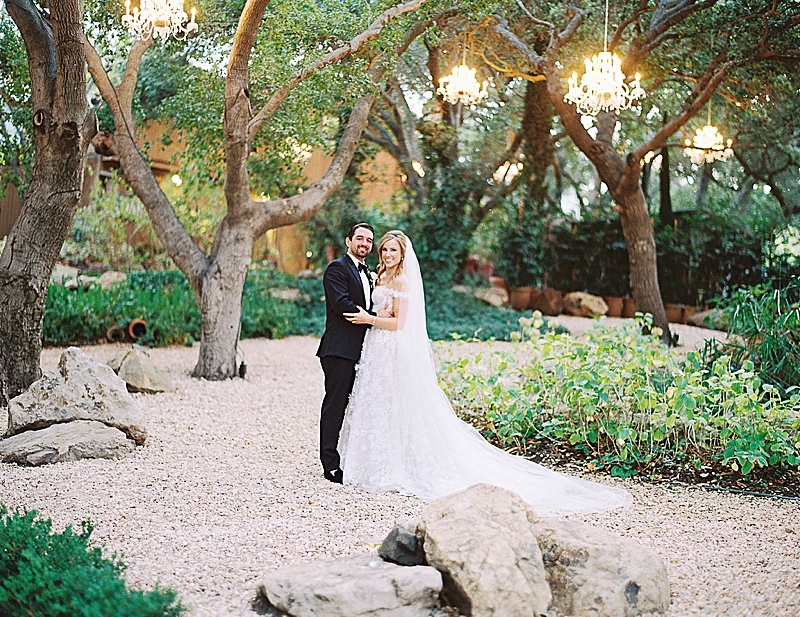 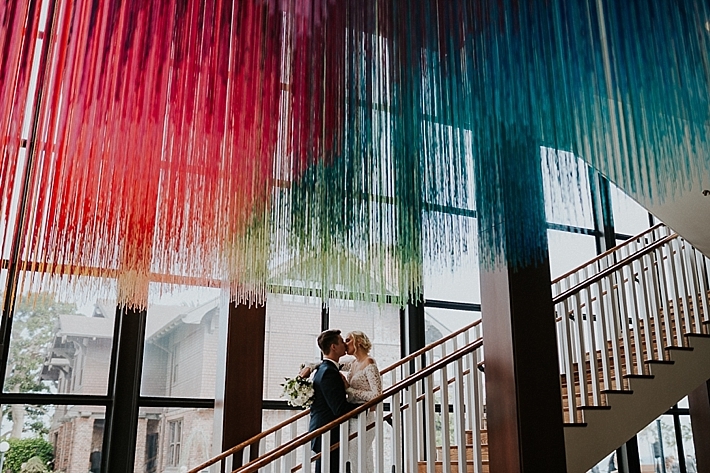 "Kyle and Alina met while attending the film school at California State University Long Beach. 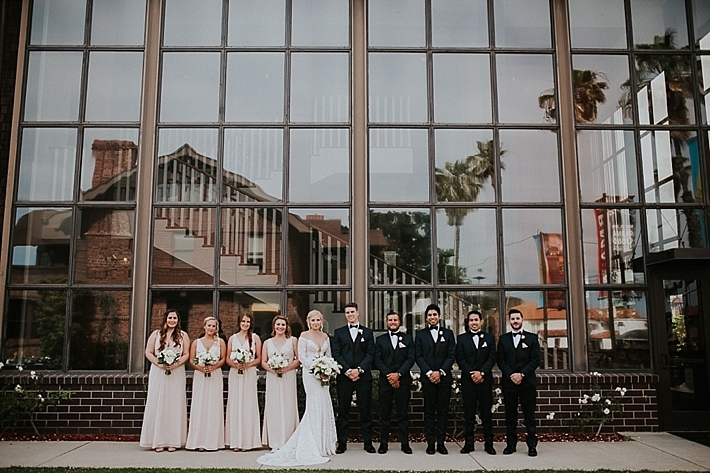 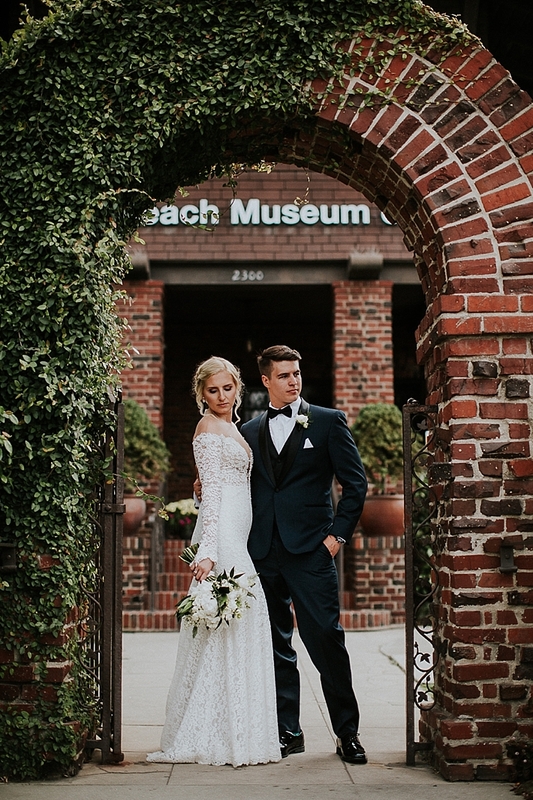 When it came time to decide on a location, the Long Beach Museum of Art was an obvious choice for its vintage yet outdoors feel along with the gorgeous view of the the ocean that Long Beach provides. 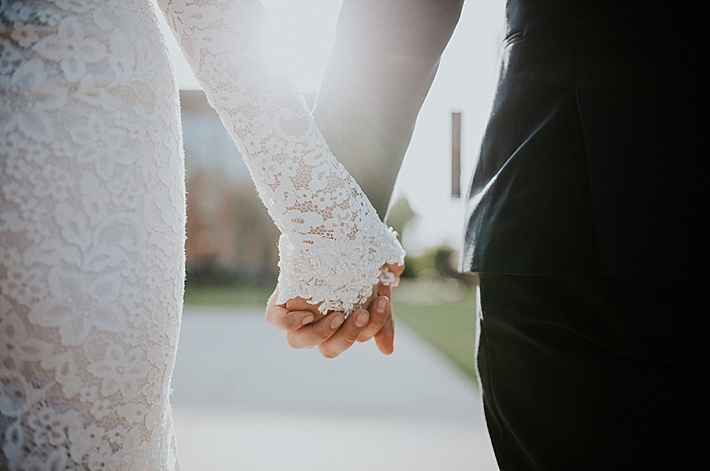 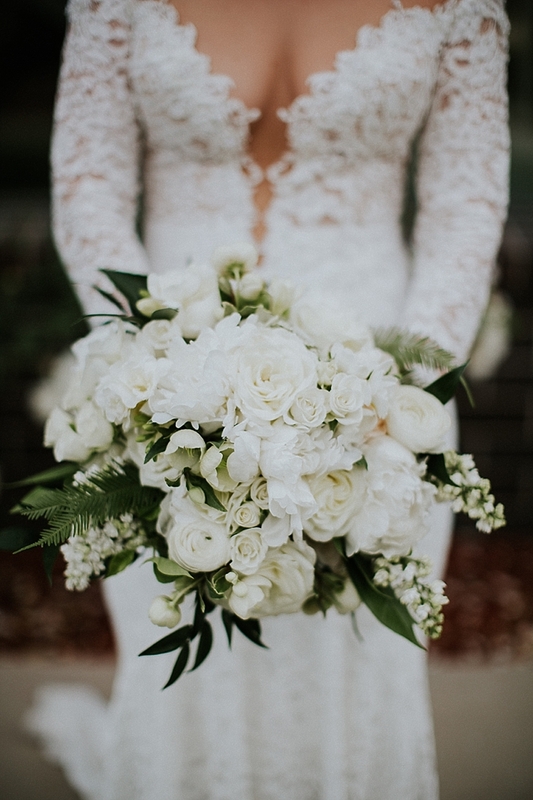 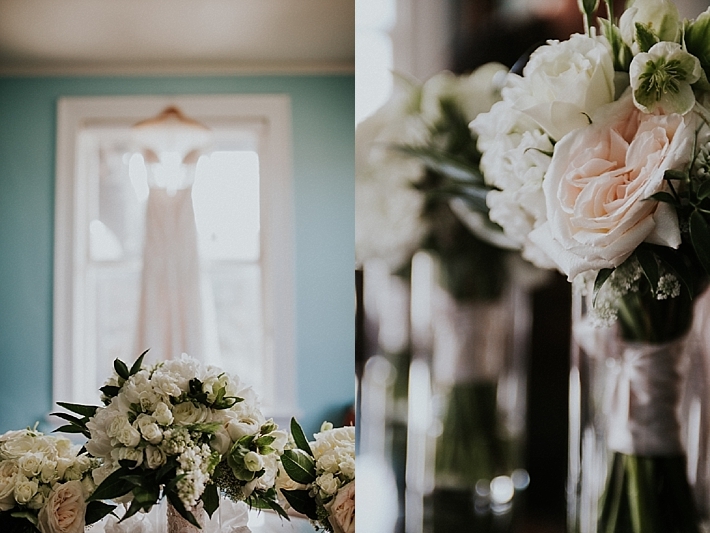 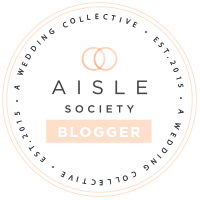 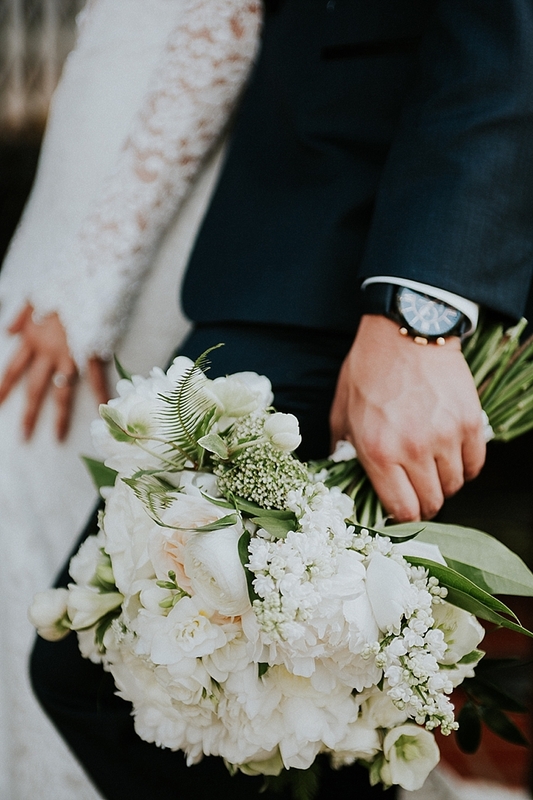 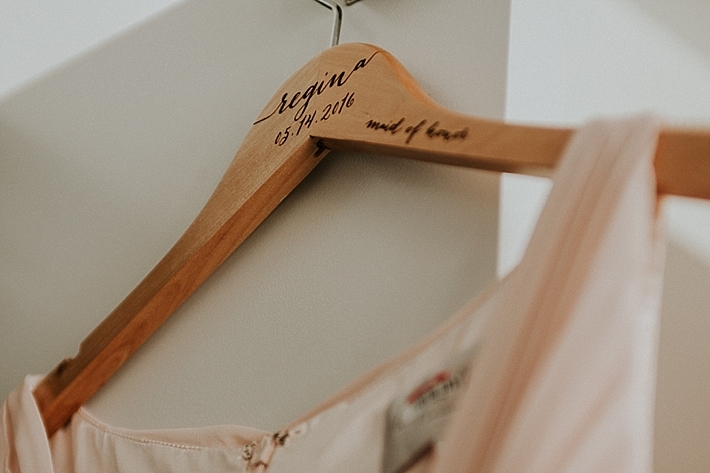 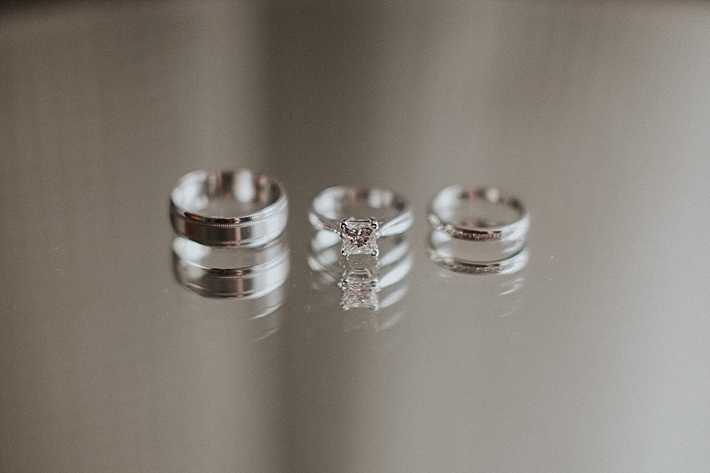 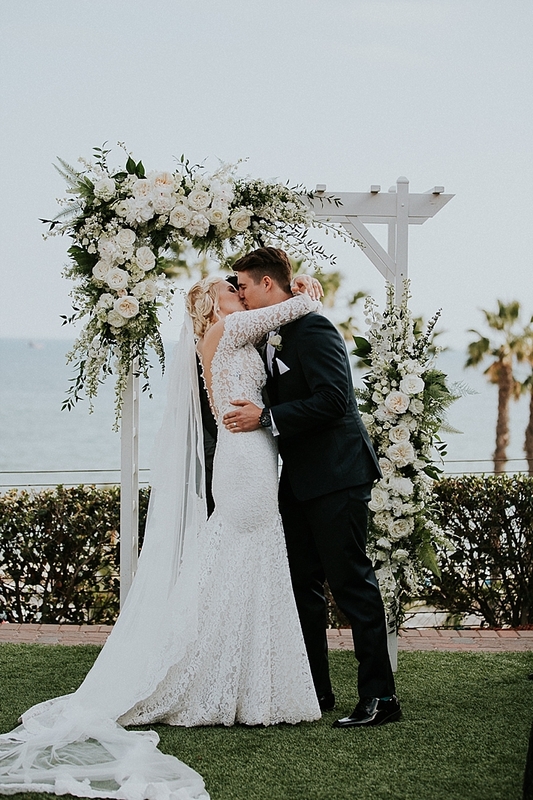 Being in the film industry, they wanted to incorporate that feel of a movie within their wedding day from the choice of music to the vintage touches in the details and lots of flowers. 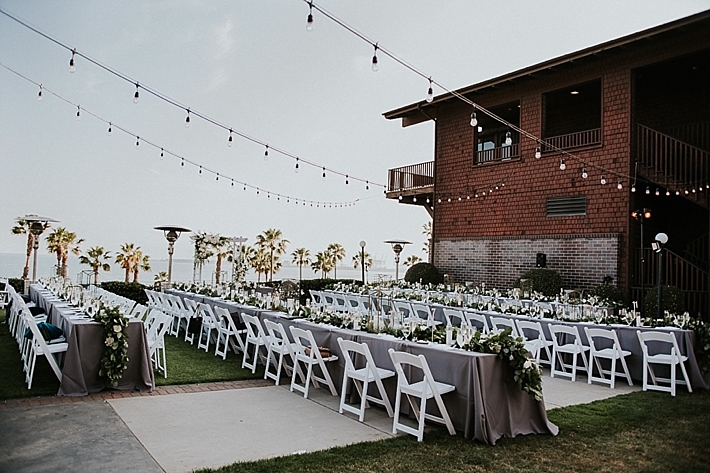 The abundant candles and twinkle lighting overhead really added to that feeling of romance and dimly lit parties that movies portray. 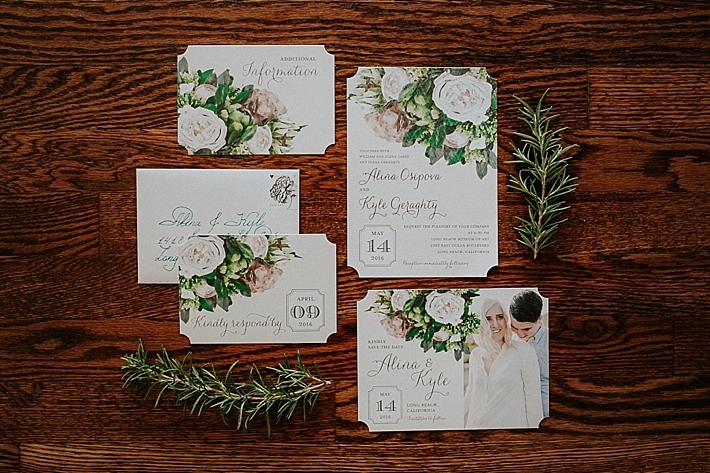 The wedding invitation suite was customized through Wedding Paper Divas to match the florals that were seen throughout the wedding and each invitation envelope was hand lettered by the bride. 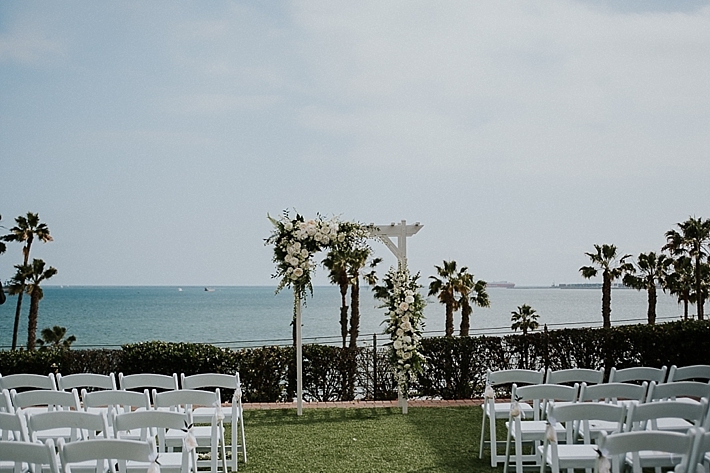 Their ceremony arch was decorated with beautiful blooms to match the brides bouquet and overlooked the Pacific Ocean. 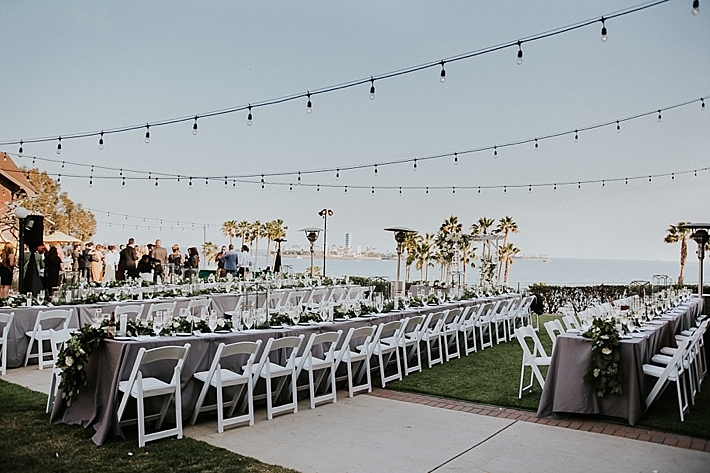 It was officiated by a long time friend and fellow CSULB alumni who made their ceremony personal. 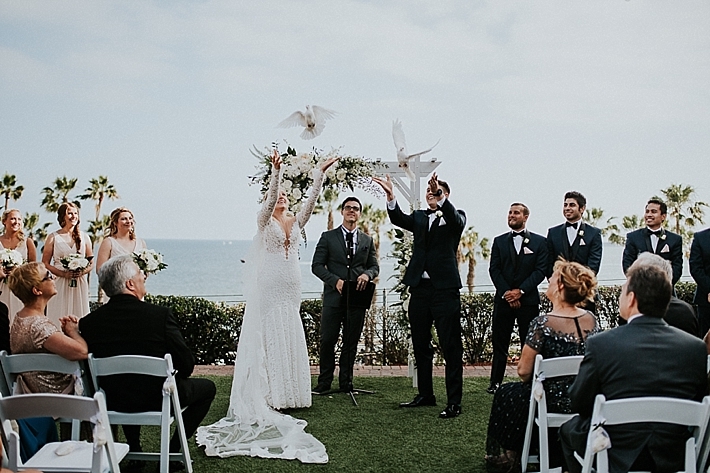 Being that Alina is Russian, they also incorporated the Russian tradition of releasing doves which symbolizes hope and love for the new couple. 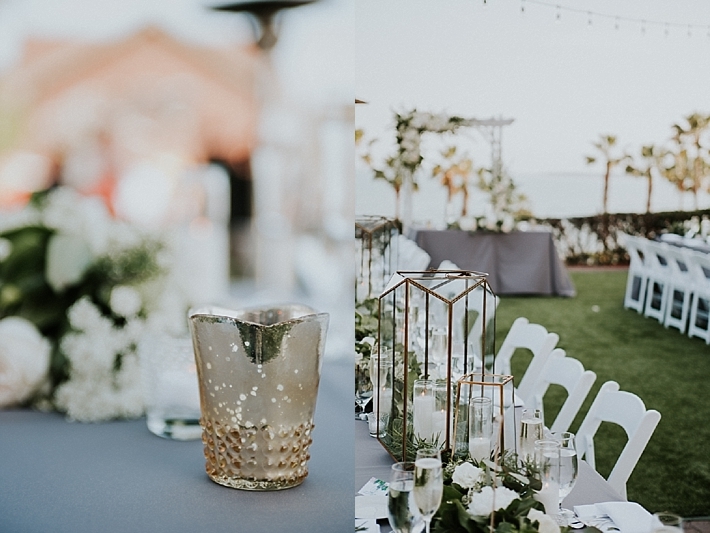 The Great Gatsby movie was a big inspiration for the day and they wanted their guests to feel like they were attending a romantic and fun party in the twenties while still including the modern things they loved. 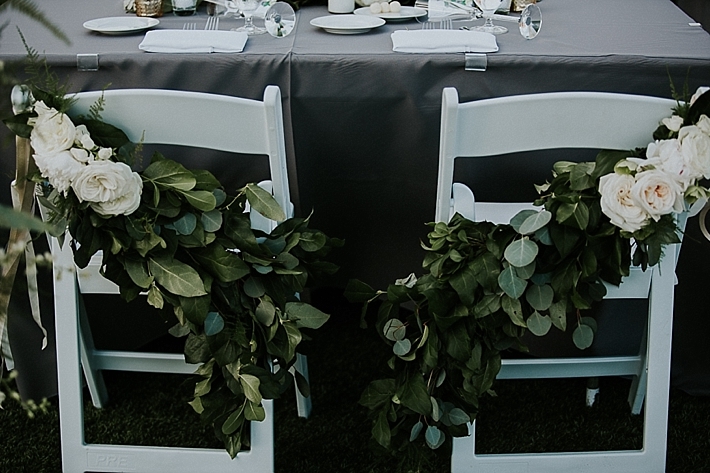 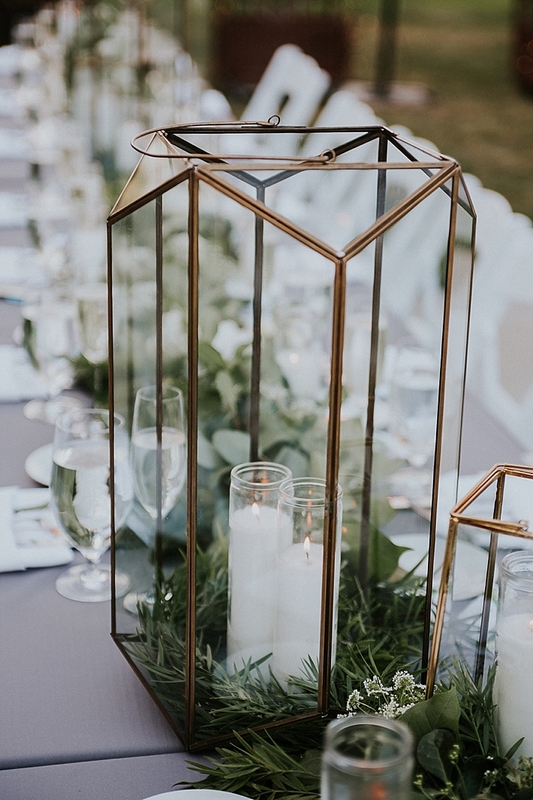 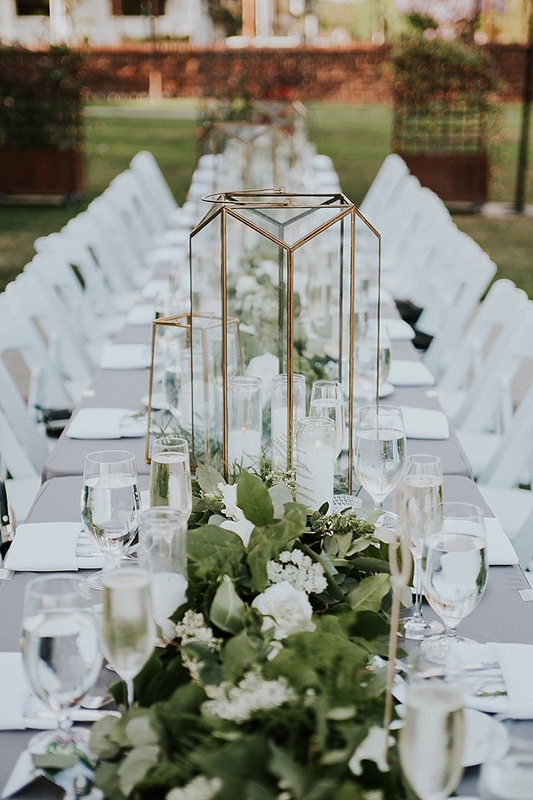 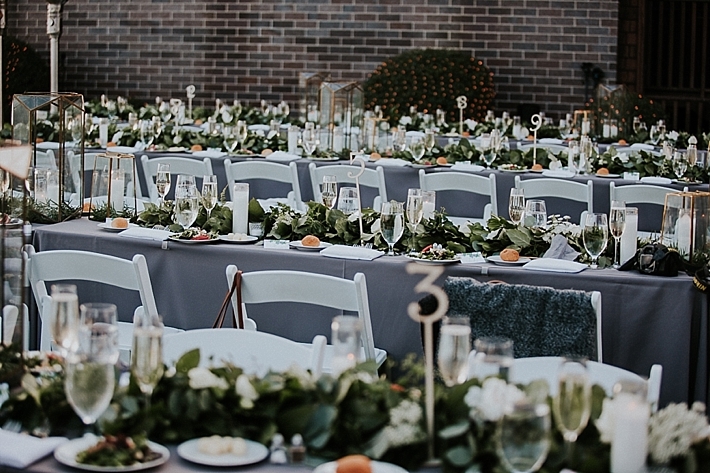 The long tables brought everyone together and were decorated with gorgeous garlands of greenery and and white flowers with geometric glass terrariums by Rebelle Fleurs Event Design. 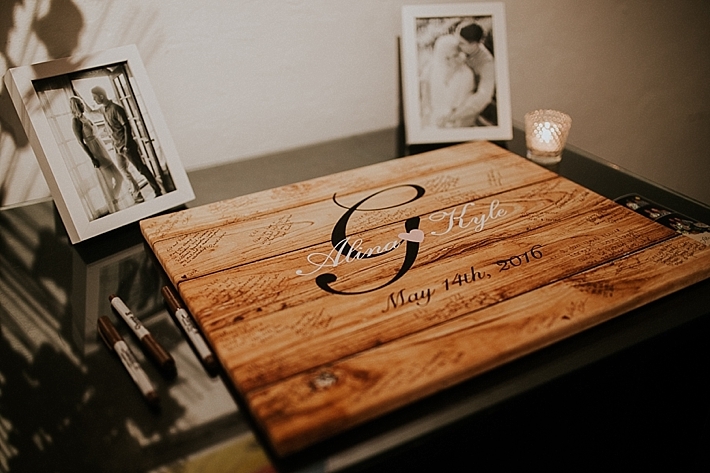 The table numbers were laser cut in wood and the name cards were hand lettered by the bride herself. 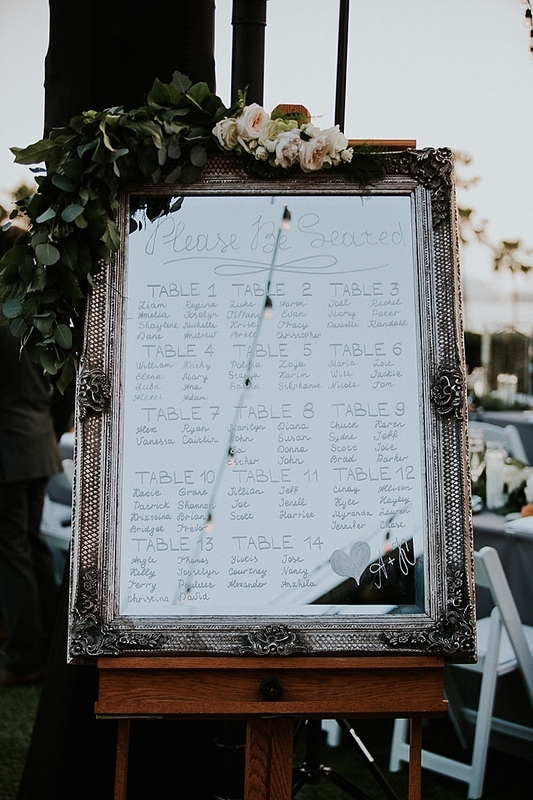 The seating assignments were displayed on a large vintage mirror also adorned with flowers by Rebelle Fleurs. 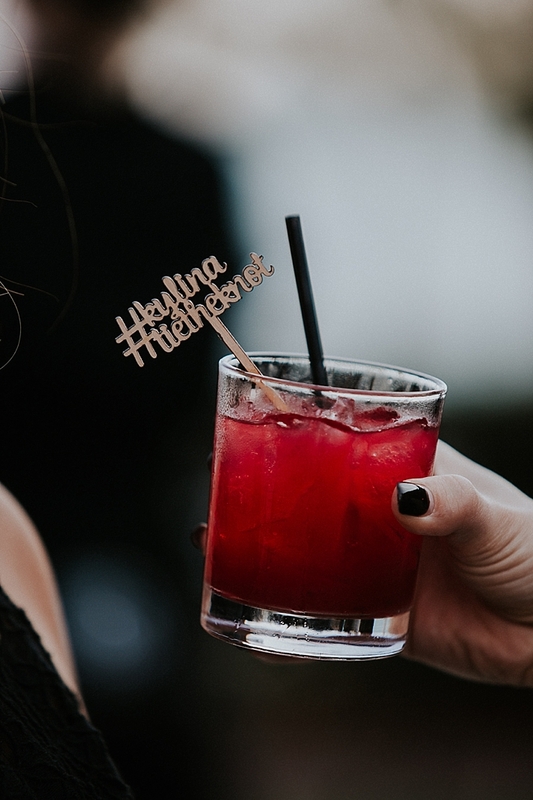 Drinks were accessorized with stirrers from De Lovely Details displaying the couple's hashtag and the vintage limo which transported the wedding party was provided by Excel Fleet Limo. 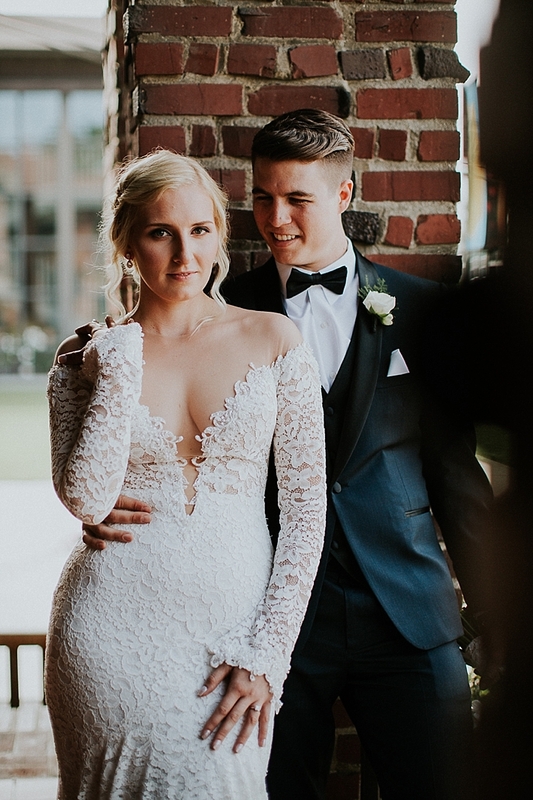 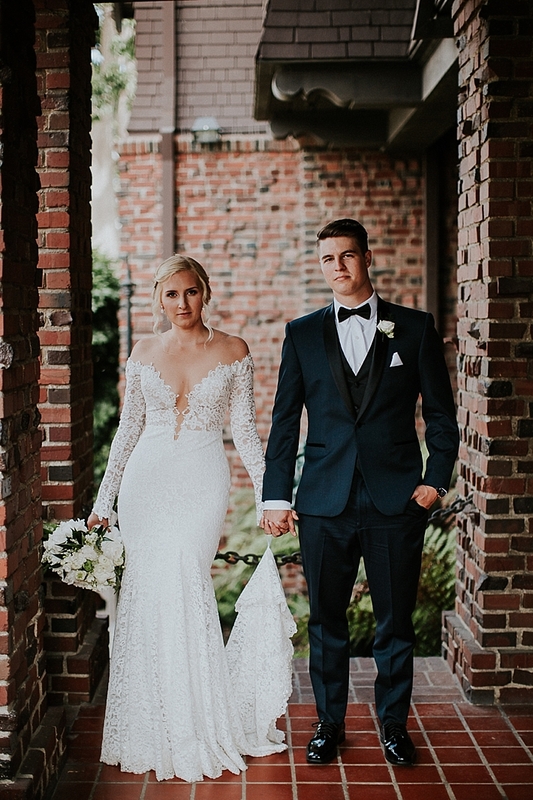 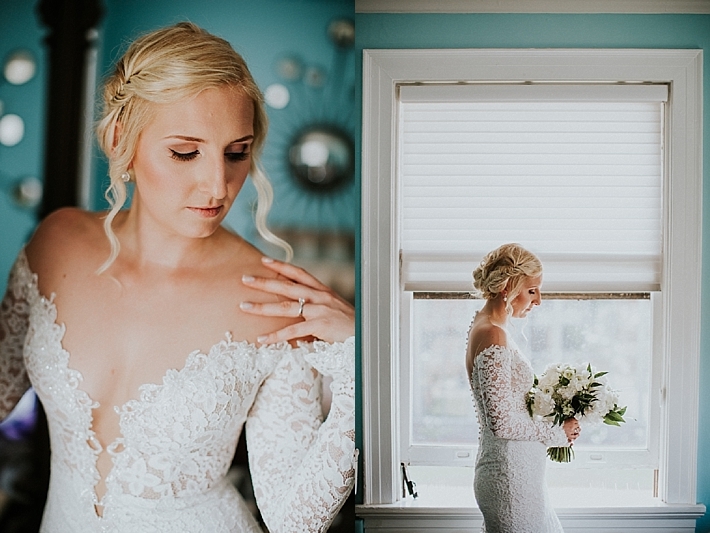 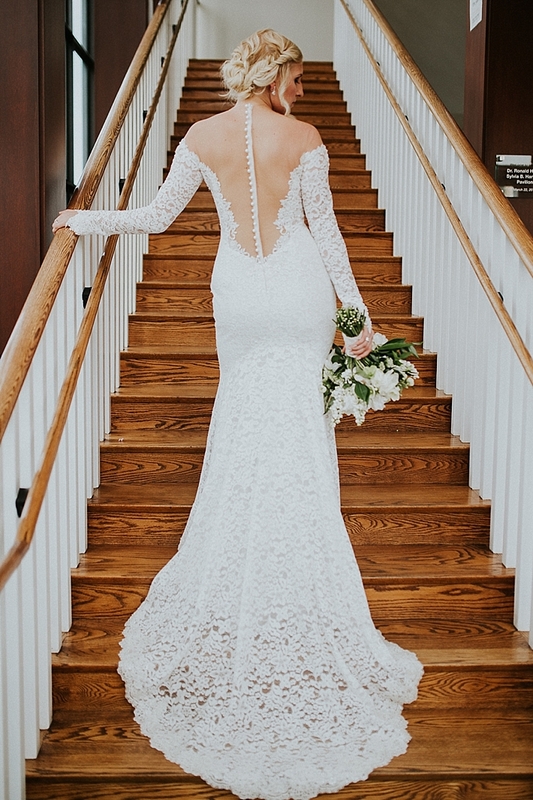 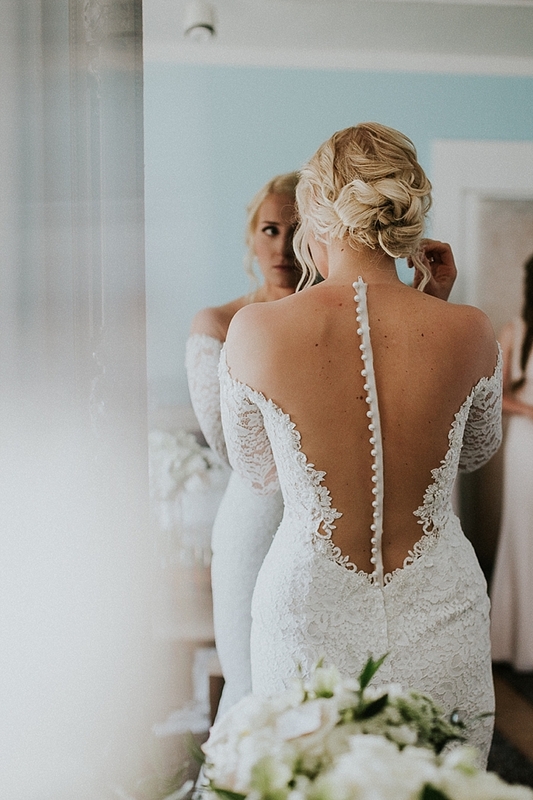 Alina's dress is from wedding designer Berta and its off the shoulder style and all lace design really went well with the vintage theme. 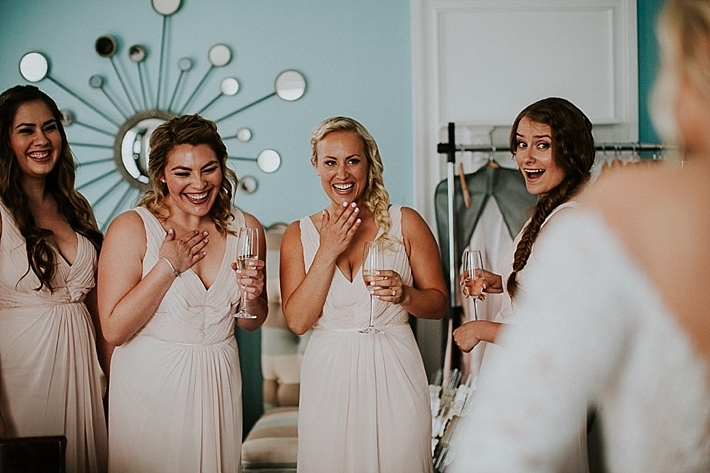 All of the bridesmaid's light pink Monique Lhuillier dresses were from Vow to Be Chic and had the right touch of lace in the back to match. 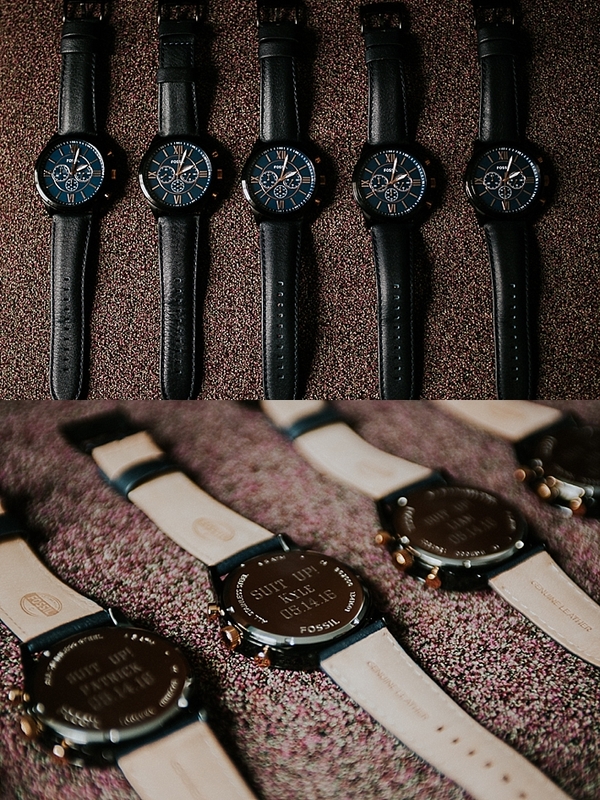 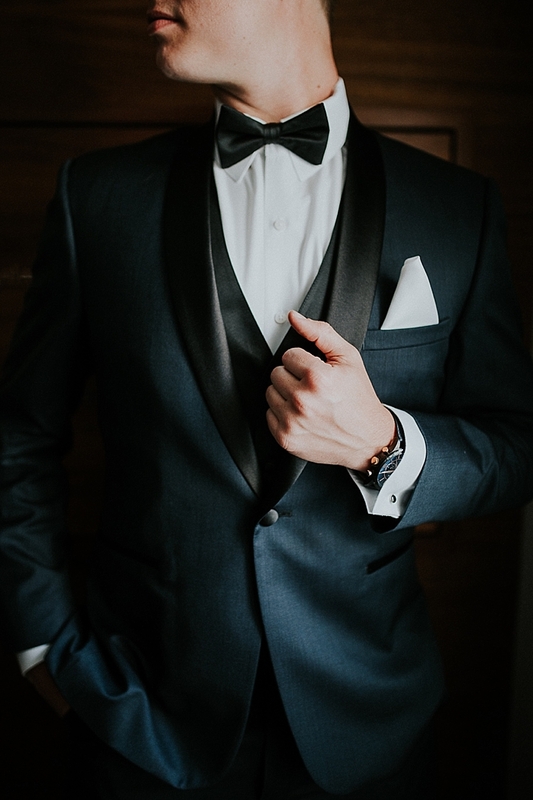 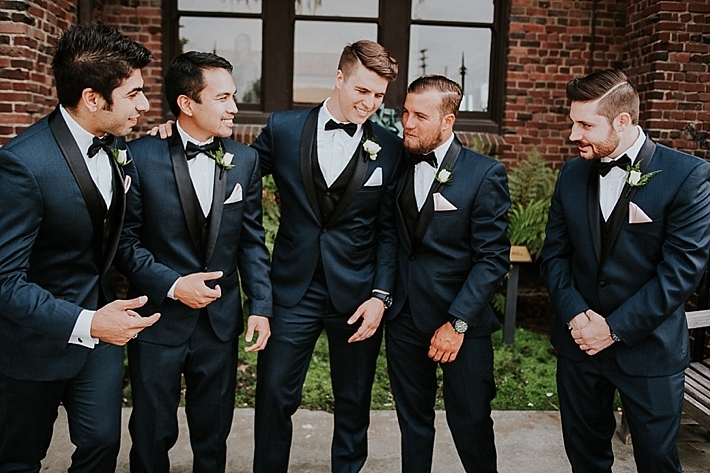 The groom and groomsmen's fitted tuxedos are from Friar Tux and the groom gifted each of his groomsmen a personalized Fossil watch to match. 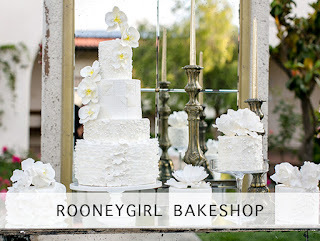 The bride's delicious semi naked cake and macarons are from Rooney Girl Bake Shop. 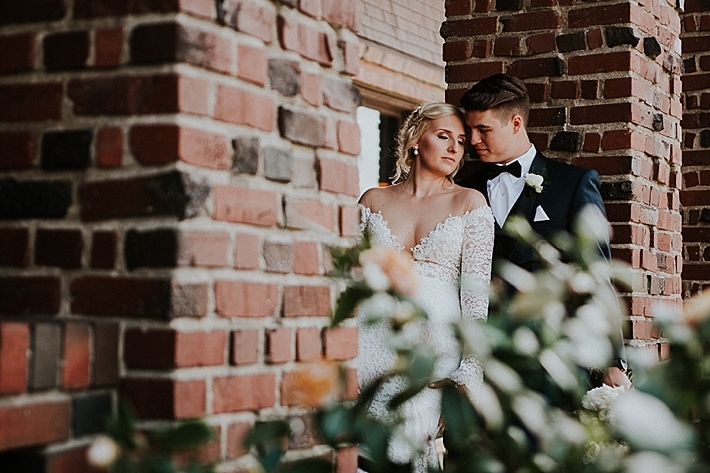 Kyle and Alina's entrance as husband and wife started out with a tunnel of white rose petals being thrown by the wedding guests and ended with another family tradition of tasting the Russian bread called Karavai. 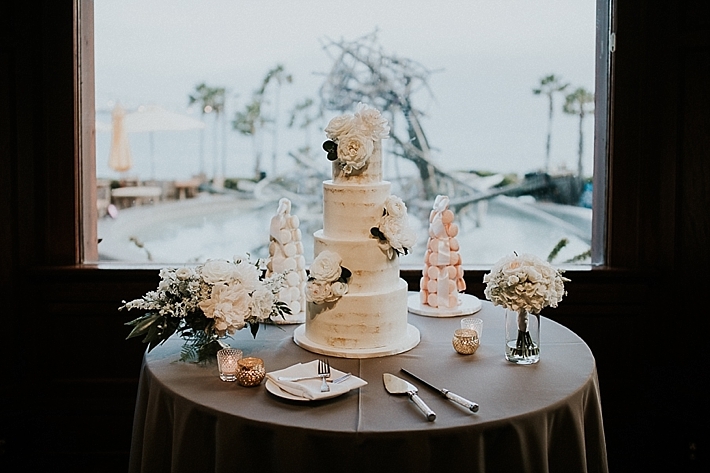 It is said that whoever takes the largest bite will be the dominant figure in the household. 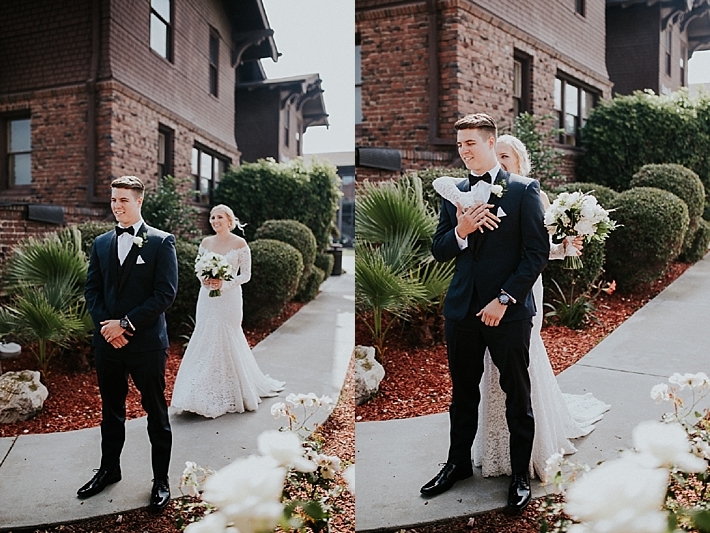 Leading up to the wedding, Kyle and Alina attended dance lessons for their choreographed first dance together as husband and wife. 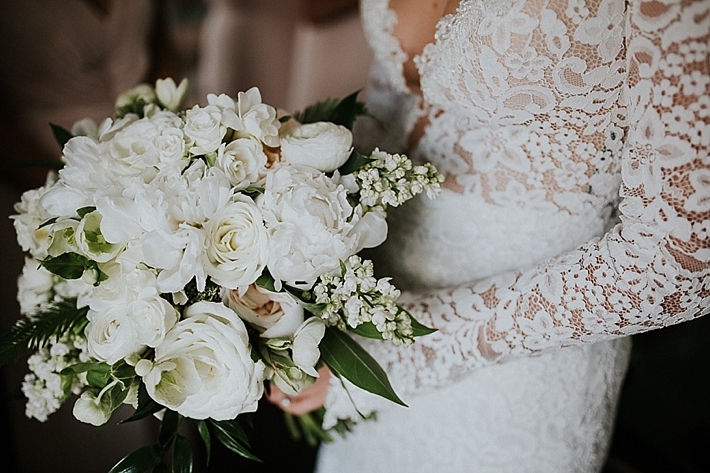 It was performed to the song "Young and Beautiful" by Lana del Rey. 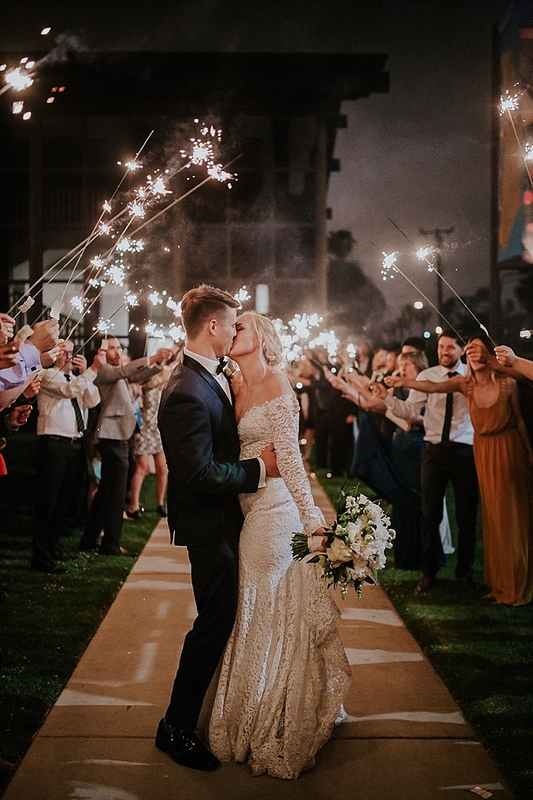 Even with their slight nervousness to perform, once the music started, it appeared that all of the nerves went away and they enjoyed this special moment together.